Jaguar’s ageing Castle Bromwich factory is in line for £200 million investment – including a new body shop and model replacements – if efficiency plans can be met. The much-needed investment would secure the long-term future of the Birmingham factory indefinitely, less than two years after it was facing closure. But a major new efficiency drive, including Saturday working, drugs and alcohol tests and widespread labour cost savings, is being demanded to guarantee the crucial investment from Indian owner Tata. A joint New Product Proposal document drawn up by unions and management and obtained by the Post outlines the “longer term strategies required to make Castle Bromwich a genuine world-class plant”. The document, which is subject to a shopfloor ballot, states: “All parties are supportive of this agreement and of plans to re-energise and redevelop the Castle Bromwich site and commit to continuous improvement. But it is understood that the £200 million could be withdrawn from Castle Bromwich if workers reject the efficiency drive in the current ballot. A highly-placed source said: “They need to get the competitiveness and efficiency of the plant up. If that can be achieved and everybody agrees on the way forward, the plant will stay open indefinitely. We are talking here about more efficient ways of working. They want to have a new blueprint going forward – there are a lot of old agreements concerning Castle Bromwich. Unions have already publicly thrown their weight behind Tata’s Castle Bromwich efficiency drive to help safeguard the long-term future of the factory. Des Quinn, Unite regional official, said: “The Unite union members at the Jaguar Castle Bromwich plant have always been forward-thinking and we remain confident that our members will make the right decision for the sake of the long-term future of the plant. The document calls for “an agreed pattern of assured weekend overtime with immediate effect”, including a maximum of 12 Saturdays per shift worked in a 12-month rolling period, with a maximum of two Saturdays worked in any calendar month. The document also calls for an increase in the annual reduction in manpower labour from five per cent to seven per cent, including improved working practices to cut costs. In September 2009, Tata said it was moving to a “two-plant strategy” in the UK and the Castle Bromwich factory was subsequently earmarked for closure until a dramatic reprieve was announced in October 2010. 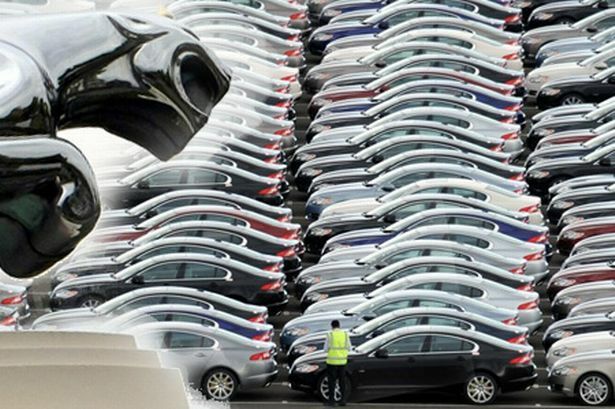 Jaguar Land Rover revealed it was to pump £5 billion into the group and was retaining all three manufacturing plants at Solihull, Castle Bromwich and Halewood. But the new Castle Bromwich efficiency drive indicates the urgent steps required to bring the Birmingham factory’s productivity and performance into line with Solihull and Halewood. Jaguar spokesman Nick O’Donnell said JLR had no further comment to make ahead of the ballot result.